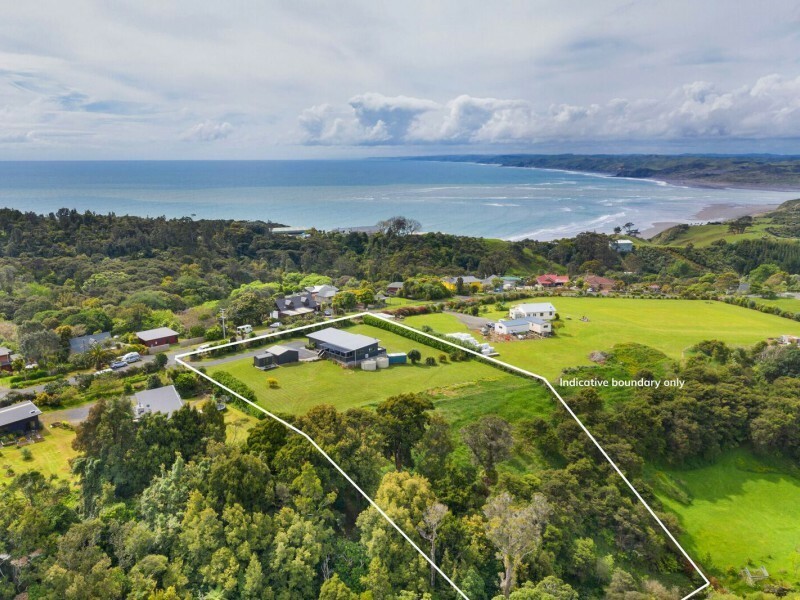 Seldom do properties like this come on the market, a unique opportunity to own your dream home in the desirable location of Upper Wainui Rd. A close knit family friendly community resides in this quiet no exit street, ensuring peace and tranquillity prevail. Bird life is about the only noise you will hear while relaxing in this peaceful paradise. This modern and spacious family home will satisfy your wish list. Clean lines, stunning kitchen and a large open plan living space, flow onto the front deck with breath taking views all around. 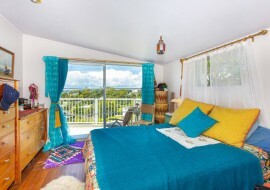 The spacious master bedroom also provides a private deck for added pleasure with an ensuite and walk in wardrobe. 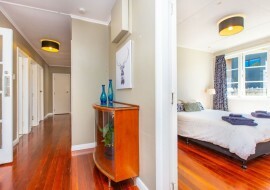 The remaining two bedrooms, are complemented by a full bathroom and separate toilet. The well situated office is fully insulated and double glazed, however could be utilised as a teenagers retreat or an additional bedroom. A double garage sits adjacent to the office, with more than enough parking for cars and the all important boat. 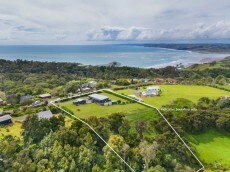 Set on an easy care 8014sqm section (just under 2 acres), with one acre of near flat land surrounding the house, the remaining land gently slopes to the stream below accessed via a walking track, to a beautiful wonderland for all to enjoy. Load up the surfboards, paddleboards & kayaks as the beaches and Raglan's famous surfing spots are only minutes away. Or if you prefer a relaxed morning walk, the Wainui Bush Reserve track to the popular Ngarunui Beach is just up the road. 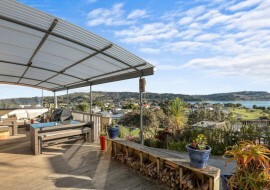 Look out for those Kereru and Tui !! Under the careful watch of the majestic Mt Karioi this location is epic !